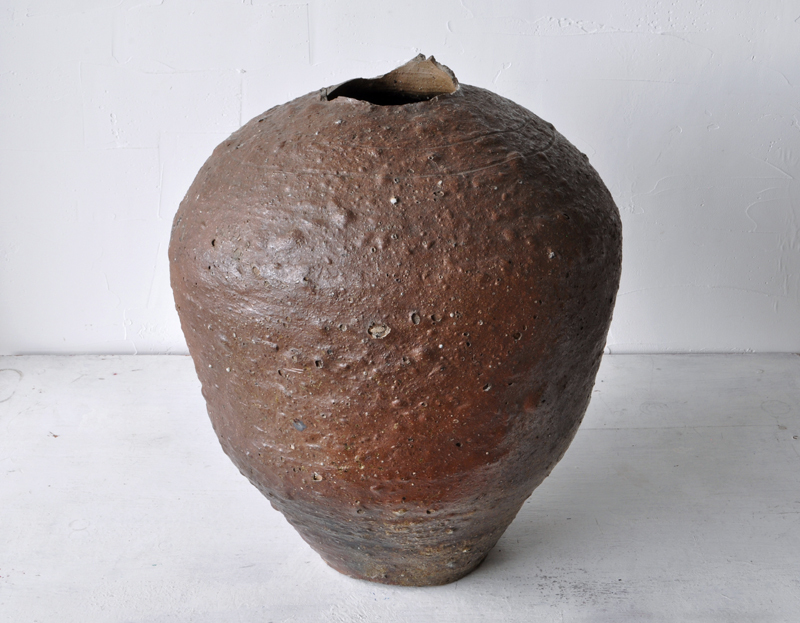 Shigaraki ware jar (Dealer: hotoke antiques) – Massive Japanese high-fired unglazed stoneware jar in such beautiful distortion and proportions with a broken neck like a taste like torso. Early 20th century or could be earlier. Quite a dynamic but calm cosmic landscape with some craters of burns, subtle tracks of natural glaze, and orbits of line pattern. In imperfectly perfect ‘wabi’ condition as is, with inborn kiln-flaws as seen. Unidentified kiln-mark at the bottom.